Good Afternoon. I guess if you're reading this you're not one of the chosen ones. No matter, as we sinners have RBNY football to look forward to tonight. Before that, however, let's get to some stuff from the past week. Former French International Robert Pires to RBNY? Well, it seems the former Arsenal man, currently plying his trade at Aston Villa, told a UK publication that Thierry Henry personally called him about coming to RBNY. TH14, however, denied ever speaking to Pires about coming to play for the Red Bulls. And speaking of former French Internationals: another rumor has David Trezeguet, possibly coming to RBNY. Trezeguet's current Spanish League team, Hercules CF, have been relegated this season and reports are that the former Juventus man wants out and is in talks with RBNY. Remember Brian Nielsen? No? Well he appeared in a couple of games last year, looked great, then disspeared. He's been injured but is, reportedly, close to making his return. He looked really good in the games he was involved in and, with several players expected to be out (due to International duty) this Summer, could be a massive addition to our squad. 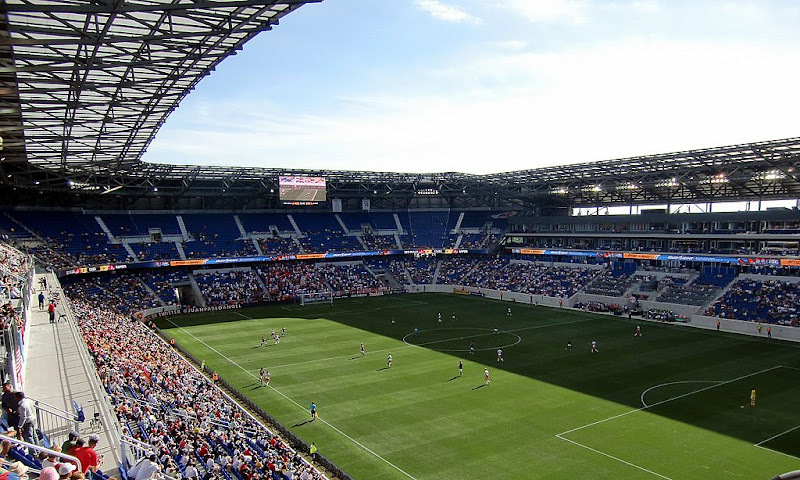 Could there be trouble brewing within the RBNY roster? Well, apparently young Juan Agudelo isn't too happy with the amount of playing time he's been getting lately, due to the emergence of Luke Rodgers. With Thierry Henry out of the lineup today, a goal (or two) would be the best argument, for playing, time Agudelo could make. Check out this great Tim Ream interview, were he gives us some insight going back to his youth club in St. Louis. During the interview, he was asked to state what set him appart from other players. Tim stated that it's his "willingness to actually play, to actually pass the ball and not just hammer the ball and knock guys over". This is why he's a perfect fit with what the great Mr. Backe is trying to create here. And speaking of Ream: Tim was down in Hoboken this past week, with several of his RBNY teammates, making tacos and meeting with fans. The Houston Chronicle gives us this profile/interview with RBNY center back Rafa Marquez. Finally, the Red Bulls and the NYPD once again join forces for a good cause.